The Legal Genealogist has heard it more than once. Whether it’s an image of an original document or even a digitization of a published book, the quality can vary — considerably — and looking at different copies, we can reach very different conclusions. Reader Jean wrote in about a ship passenger list that included an entry for an ancestor who arrived at the Port of New York in October 1891 on the ship the Dania. She was confused by information in two of the columns. It didn’t match up between Column 6 for for “Country to which they are Citizens” — where the entry appeared to say Russia — and Column 8 for “Hailing Place or Place of Starting” — where the entry appeared to say Steinort, which is in Germany. The data in those columns seemed to match — country and starting place the same — for other passengers so why might it be different for her ancestral family? Because the entry in Column 6 doesn’t read Russia at all. Yup. It’s Prussia, not Russia. This is hardly the only case where you’ll see this kind of difference between images. I’ve come across this in my own research, where one image is simply better, clearer, more legible than another. 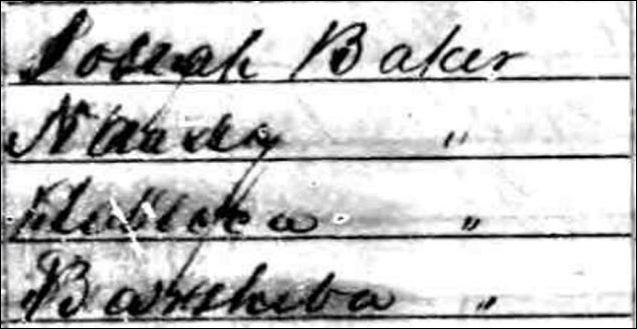 Still not perfect, perhaps, but a whole lot better — allowing us to confirm that daughters Rebecca and Barsheba were living with parents Josiah and Nancy in 1850. The moral of this story is, there really is a reason to say not just what image we were looking at but also where we were looking at it. And, of course, the even more important moral… look at every copy of the image that we can get our eyes on. This is such a great point! It took me a while to realize how drastically different scans/photos of documents can look from one provider to the next. For example, even though the image viewers on Ancestry and FamilySearch seem more user-friendly (you can zoom in and copy portions in your browser window), the black-and-white high res scans I got from the library’s HeritageQuest service were often easier to read. I suspect in the long run we are all going to greatly miss those HeritageQuest records… (now behind the ProQuest paywall, libraries mostly). Also be aware that ancestry.com does update its images over time. 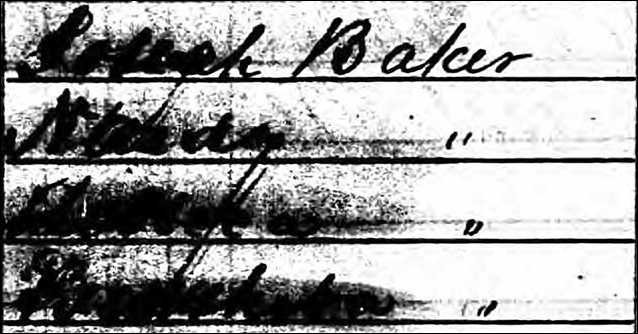 I have gone in to find improved images of census records that I had saved several years ago and they’re much easier to read. 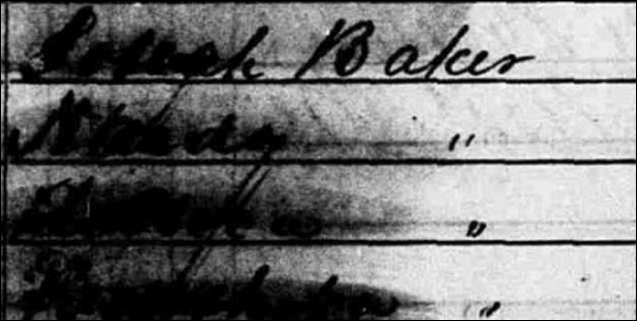 I also found the Pennsylvania Death Certificates database on ancestry.com has much better images than the ones I paid for before they became available online. Every service we use should be checked periodically, Elizabeth, since updates occur everywhere (at least we hope they do!). His name was definitely Josiah (actually Josias) — it could certainly be read here as either Josiah or Joseph. My fifth-great grandfather was also a Josias! Josias Gamble. It was a popular name in the past. Sadly our local library has Proquest & Heritage Quest as 2 different programs to view from home. The Heritage Quest is now an Ancestry.com site. The images are the Ancestry.com images. I used to use Heritage Quest for 2 purposes. They were indexed by different individuals and were generally more accurate. You could query by precinct that resulted in all the individuals listed by surname, given name including age and birthplace. I found many family members this way. The other obvious reason was the clarity of the images compared to Ancestry.com or at times Family Search as shown in your images. Indeed it was a sad day to lose this option in our research tool bag. Ouch. Not even the census images at ProQuest, huh? Ouch. That’s been pretty much the universal response. Boo!